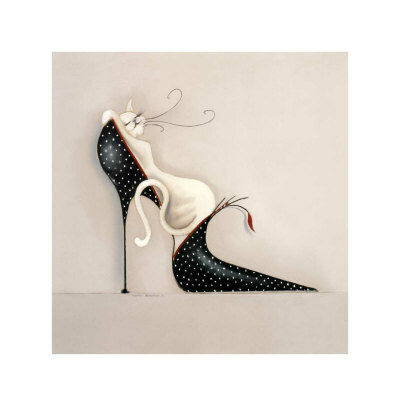 So many of us women have a fascination and love affair with beautiful shoes. As young girls we can’t wait to get our first pair of “heels”. Soon enough we learn that out of the hundreds of pairs of heels we have owned over our lifetime, we can count on one hand the ones that were comfortable enough to wear for any length of time. Even on our wedding day we often buy outrageous and beautiful heels to wear down the aisle and tennis shoes or flip-flops to wear for the rest of our big day. Yes, we learn the hard way that our feet are not built to be stuffed into pointy toed heels that force us to walk on our tip toes. Such is the image we are given as today’s message. When we are not living the life we were born to live, it is like forcing our feet into those pointy toed shoes. As attractive as the life may look, as seducing as it may be, if it is not our life purpose, it will be painful to live. We need to follow our passions and make the differences where we can for the good of all. When we are where we are supposed to be, doing the work we are supposed to do, we feel fulfilled. We feel joyous. We feel energized. We feel free. We feel loved. We have a choice. We always have a choice. We can follow our own passions and dreams or we can follow the passions and dreams of others. -Don’t know what your life purpose is? Start writing down “What made you smile today.” Or journal your dreams…how would you look, what you would do, how you would feel. Or go into meditation with the intention that you want to understand your life purpose. -Seeing my Alex’s friend teaching across the hall from me. -Alex’s house purchase is making progress and she is sooooo joyous. -Sunshine for my ride to Stillwater. -Mary Van is feeling better….enough that we can chuckle about it….but flu flu stay away from me.